Oro Valley Home Sales November 2016 report for Single Family Residences (SFR). Click the link below to view the November’s Single Family Residences sales activity. Our Tucson Housing Report covers all Tucson Real Estate activity in November. Follow the month to month changes in the Tucson real estate market. Oro Valley, AZ continues to be one of the fastest growing communities in Arizona. Just 20 minutes north of Tucson, the Town of Oro Valley vibrant community. The Town of Oro Valley offers a great lifestyle. Community parks, aquatic center, golf course and endless activities. Take a quick video tour of Oro Valley – START HERE. New home communities are under way by National, International and Regional builders. These new home communities will be the last new developments in Oro Valley, AZ. Our Oro Valley home sales November 2016 video presents the latest homes sales activity for the Town of Oro Valley, AZ. Play Kim’s Oro Valley Home Sales November 2016 Video Update – NOW! 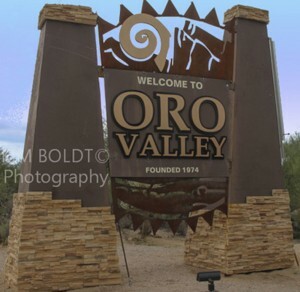 Oro Valley was founded in 1974. It has grown to over 45,000 residents since that date. Oro Valley’s renowned weather provides sunshine and sunset the year around. The ideal climate has romanced visitors, snowbirds and full year residents for many years. In 2015, Oro Valley placed on 2 top ten lists for best places to live. Oro Valley is just 20 minutes north of Tucson AZ. It is an easy drive to the University of Arizona and its top ranked sports teams. And for NFL and MLB fans, Phoenix is just 1 1/2 hours away. Tucson’s guest ranches provide visitors horseback rides and cattle drives. Experience the Old West within minutes of downtown Tucson and Oro Valley. There are five mountain ranges surrounding the City of Tucson. Each mountain range is distinct. The Santa Catalina mountains are spectacular. And the Pusch Ridge view is familiar backdrop for Oro Valley home owners. The stunning views of the Catalina Mountain and Mt. Lemmon make Oro Valley a distinctive community. Oh, BTW, Mt. Lemmon is the southern most snow skiing area in the United States. Oro Valley has long been recognized for its community parks, recreational facilities and schools. Most of all Oro Valley offers visitors and residents a wealth of things to do and activities the year around. The Oro Valley home sales November 2016 is one of our nine monthly reports. Our 1 minute home sales updates present the latest TARMLS trends in popular areas of Tucson. Considering a move to Oro Valley AZ or planning for a future place to retire in southern Arizona, we can help.